The theme for 19/20 is a continuation of our love for early 90’s nostalgia and bold styling. This includes throwbacks to big typographic prints and bold bright colours, combined with modern fabrics suitable for all conditions. We continue to build on our brand’s ethos of providing our customers with products that serve from Peak to Street. We are constantly inspired by old-school hip-hop along with the early 90s London rave scene. Some products and print methods out of these eras have become timeless and we are seeing a large influx of that again in functional streetwear. 1. Our 3 in 1 parka is a key piece in our collection as it is a core representation of us as a Brand, a true Peak to Street product. 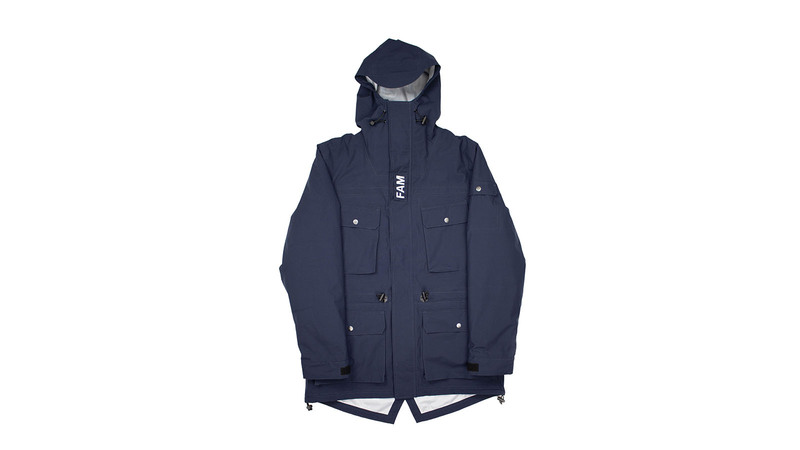 The parka includes a removable bomber jacket which enables 3 ways of wearing, shell jacket, bomber or combined for a heavyweight parka. 2. We have developed a highly technical coach jacket that includes a good level of insulation, making it a fantastic piece for the park, piste or street. 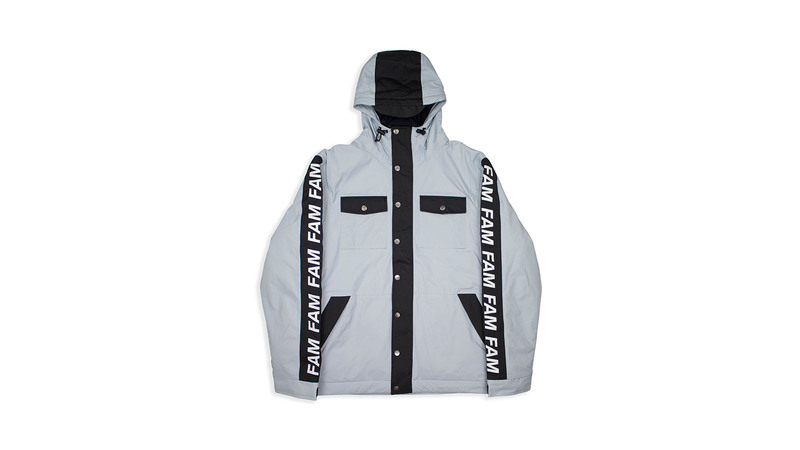 I think brands shy away from developing proper coach jackets and look at them as a real in-between piece, however, we love this style of jacket, so want it to be functional enough to wear in all weather conditions, but street enough to wear to the pub. 3. All four basic lines have a story behind them when it comes to functionality, none more so than the rugby top we have produced for 19/20. This product is made up of a heavyweight, loopback cotton and features a bold design that is sure to make each rider stand out. Its perfect for spring riding, along with being die-hard skater piece. That’s all I’m going to say on that one! 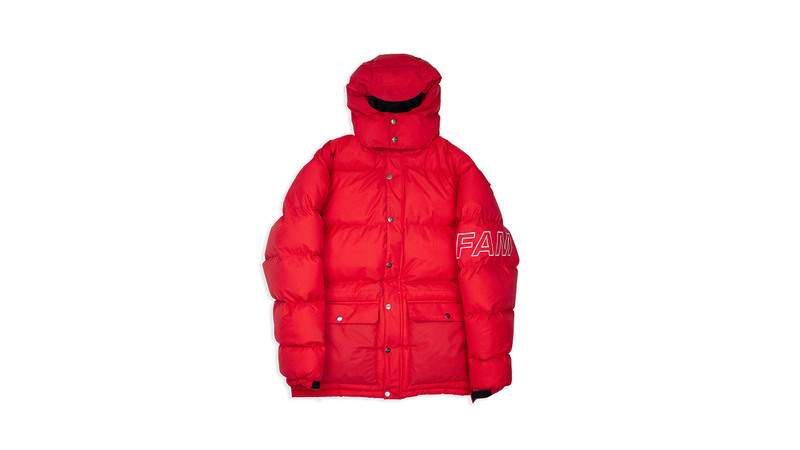 What percentage of your outerwear is sold online vs in store, both by yourselves and your retailers? What’s the best way to connect with customers who buy via these different channels? Most of our sales come from e-commerce and various pop-ups we operate over the year. We have found this integral to building our brand and communicating our story. However, in order to expand our consumer following, we think in-store representation is the way forward, and have created our new collection with that in mind. Working with retailers who have similar ideals and customer followings is important to us. Our prices will be largely similar to last season as we want to continue to provide our loyal customer base with affordable products that do not compromise on quality or style. We have a seriously cool pant we think is super innovative for the industry in terms of its style. The pant adopts a new fit similar to a tracksuit bottom with a standout print. This one should not be missed. We have done another collaboration with an up-and-coming illustrator from London, Piiiies. Please check this guy out, he is super talented and we feel privileged to have been able to work with him. We have been able to finally get our hands on an upmarket fleece after 3 years. Our borg fleece line of hoodies offers the perfect combination of comfort, warmth, and fashion that we haven’t really seen before. As a brand what’s important to us is bringing our customers something different each season that enables them to look cool on and off the mountain, however, some styles are timeless and some we will always look to use. We are always pushing the boundaries of fashion and technology within our collections as we feel that’s the freshness and forward thinking required to keep people excited in what we do. A big push will be our recent collaboration with Piiees and getting our riders out there. The big thing for us is keeping our riders growing, they are the centre of our marketing and everything we do, even product feedback. The most important thing is giving back to the sport we love. The most important marketing story for us will continue to be the brand itself and the journey we have been on over the past 4 years, along with what the future holds for us.